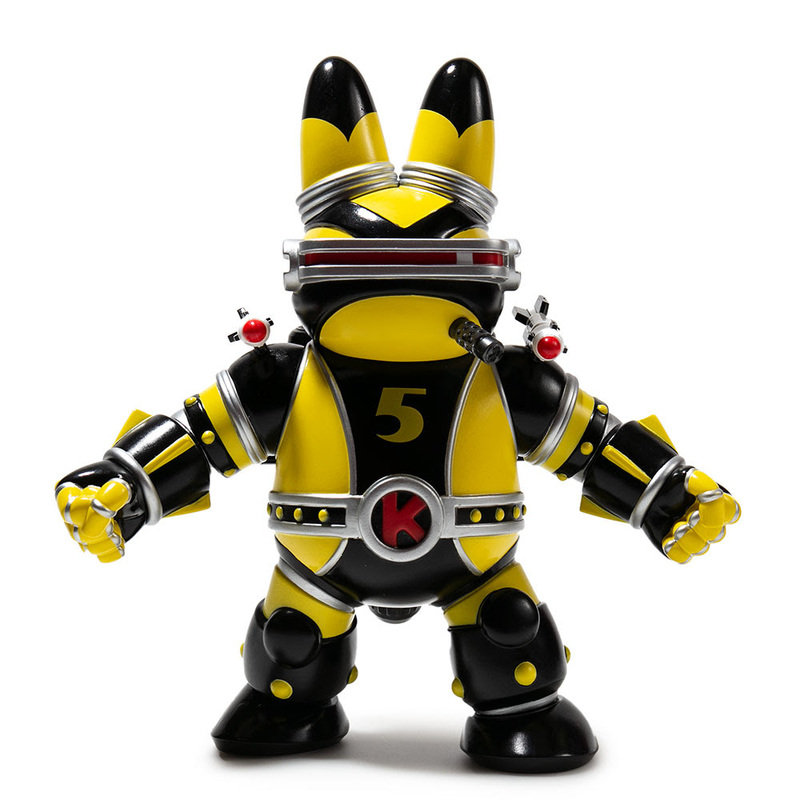 Something to Muse About: Limited Edition Labbiter XK-5 Art Figures by Frank Kozik Drop in 30 Minutes on Kidrobot.com! 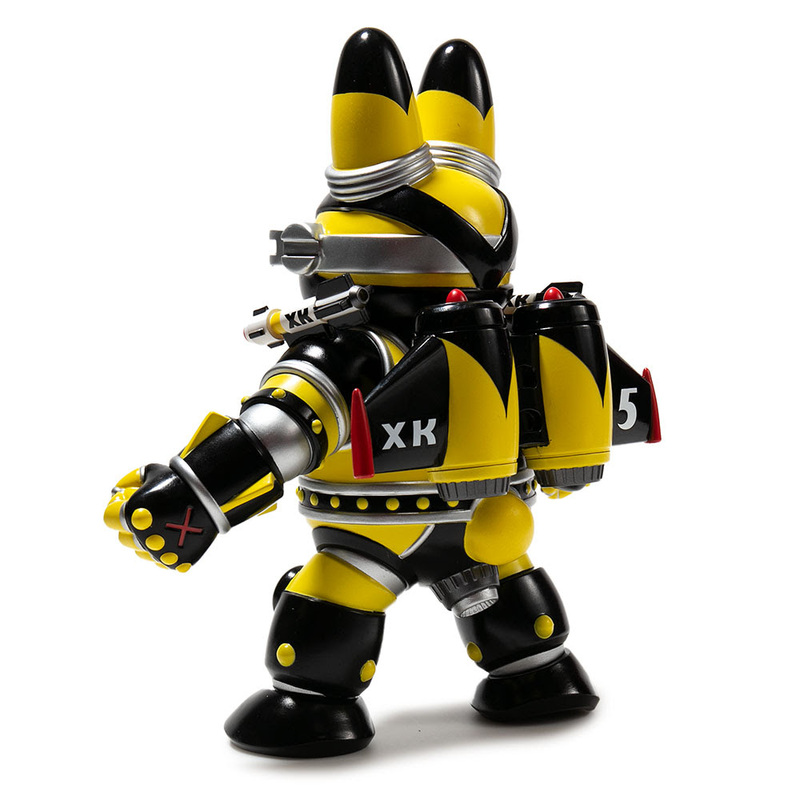 Limited Edition Labbiter XK-5 Art Figures by Frank Kozik Drop in 30 Minutes on Kidrobot.com! 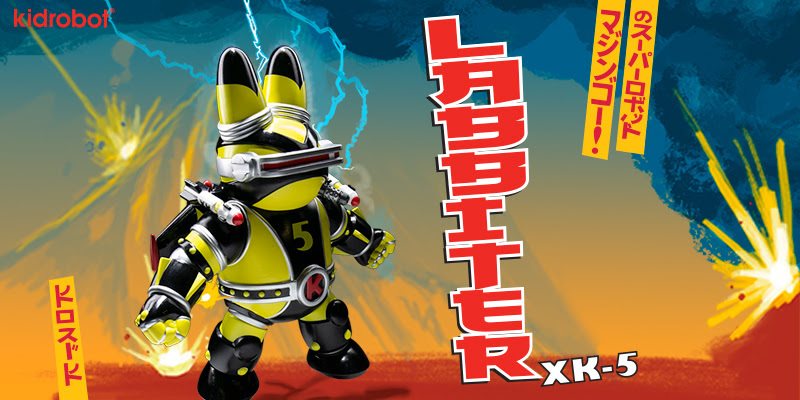 Labbiter XK-5, originally named XK-5, a mechano-biological alien AI weapon from Nebula M78. 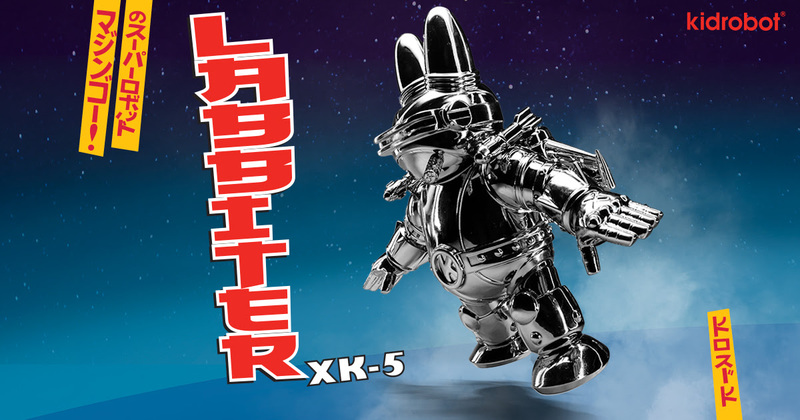 While chasing the space monster Gemular, he suffered a navigation error and crashed into a small community of Labbits on Earth 7, wreaking havoc and killing a small farming Labbit. 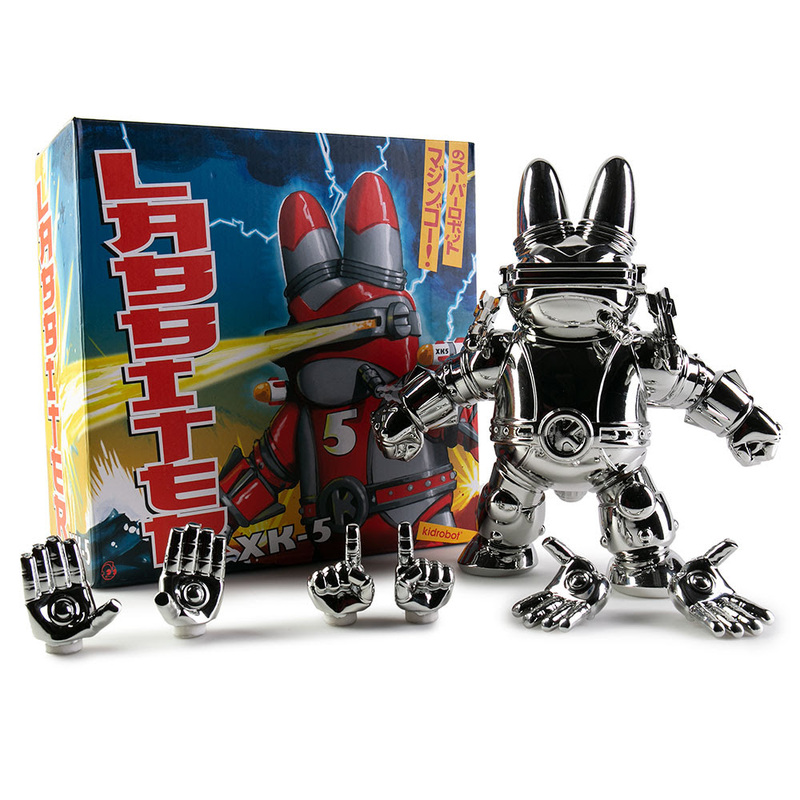 Feeling guilt for playing a part in his death, XK-5 merged their bodies and minds, restoring life to Labbit and creating a new being - Labbiter XK-5. 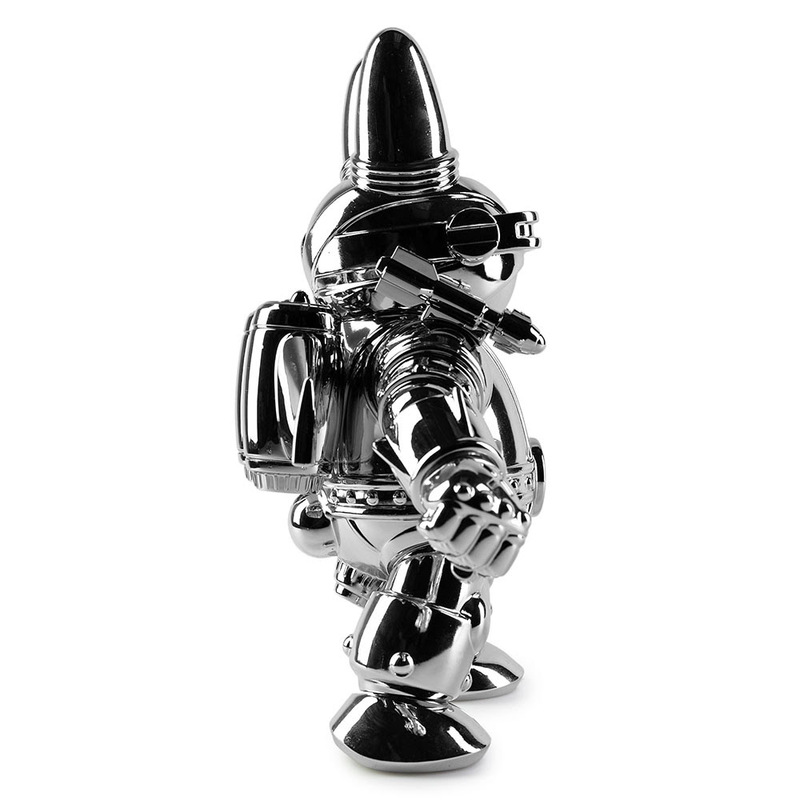 Since that day, Labbiter XK-5 staunchly defends Earth 7 against aliens and monsters. 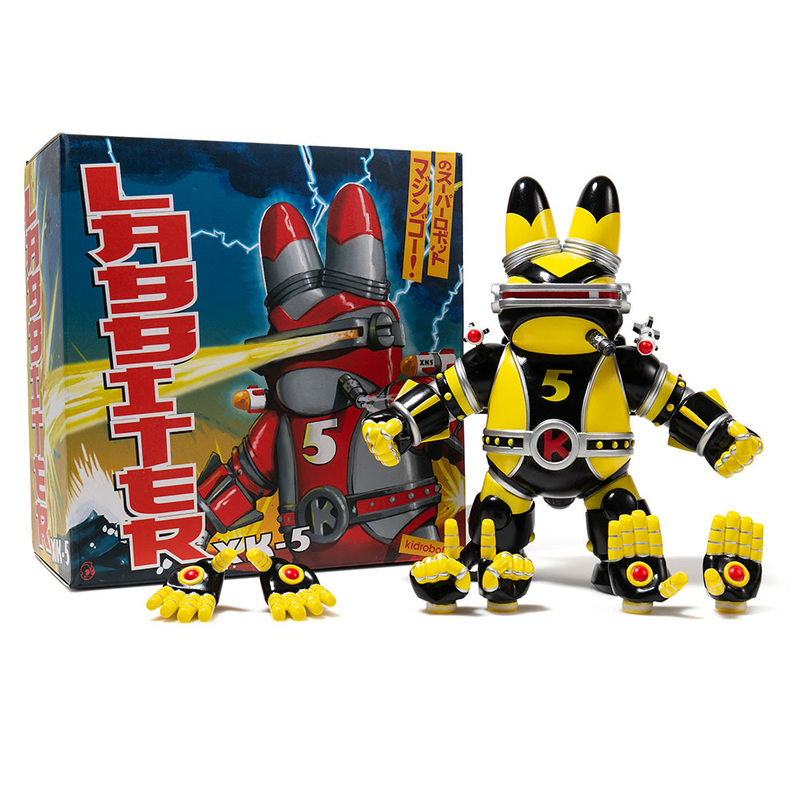 The limited edition vinyl Labbiter XK-5 art figures stand for justice at 8 inches tall and comes with four sets of interchangeable hands to "DEFEND FOR FUTURE OF JUSTICE WARIOR ROCKET". 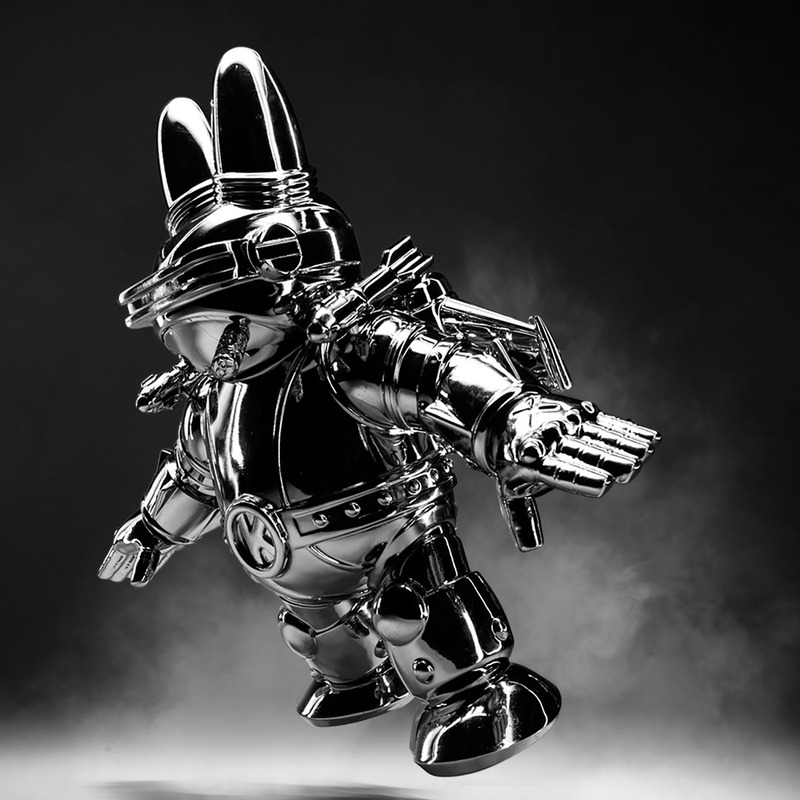 There are only two limited edition versions dropping in the United States. 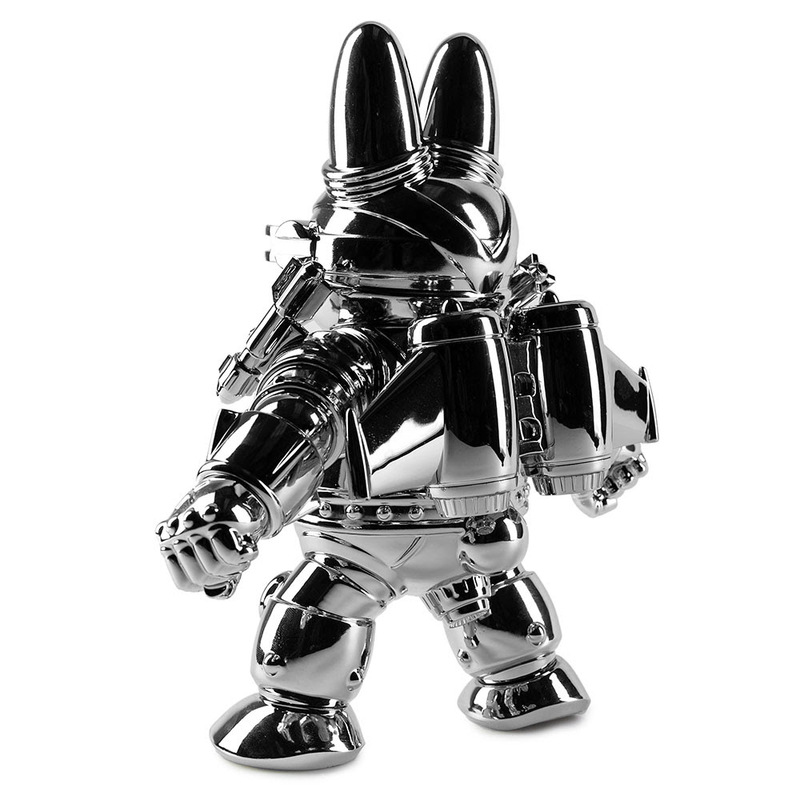 The Kidrobot.com Exclusive Labbiter XK-5 (Chrome Edition), polished for justice in electroplated silver vinyl with a limited edition of 100 pieces will only available on Kidrobot.com. 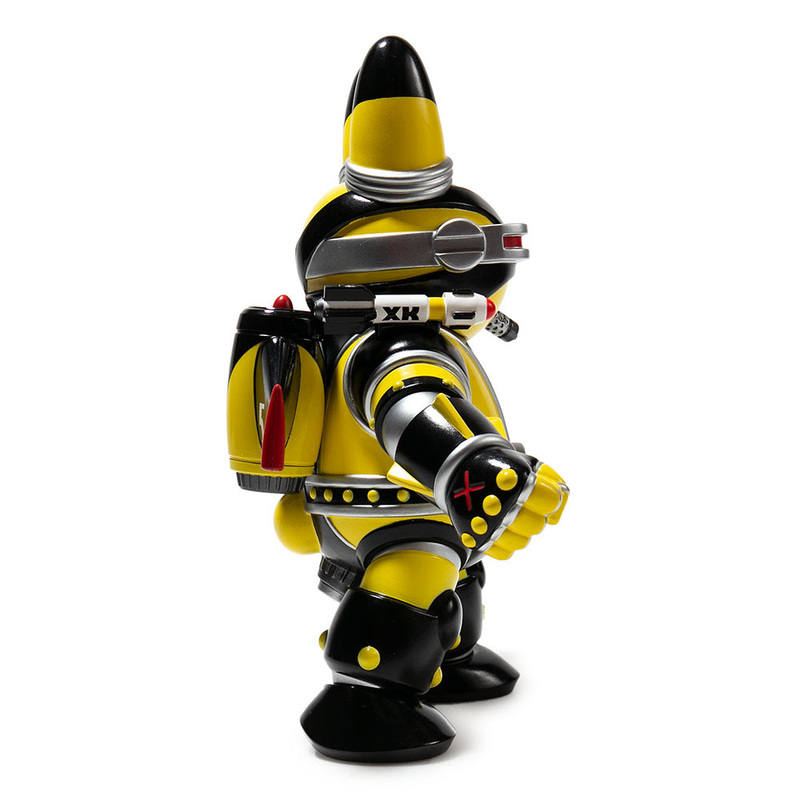 The Labbiter XK-5 (Wasp Edition) in yellow and black and limited to 300 pieces available at Kidrobot.com and select designer art toy retailers. 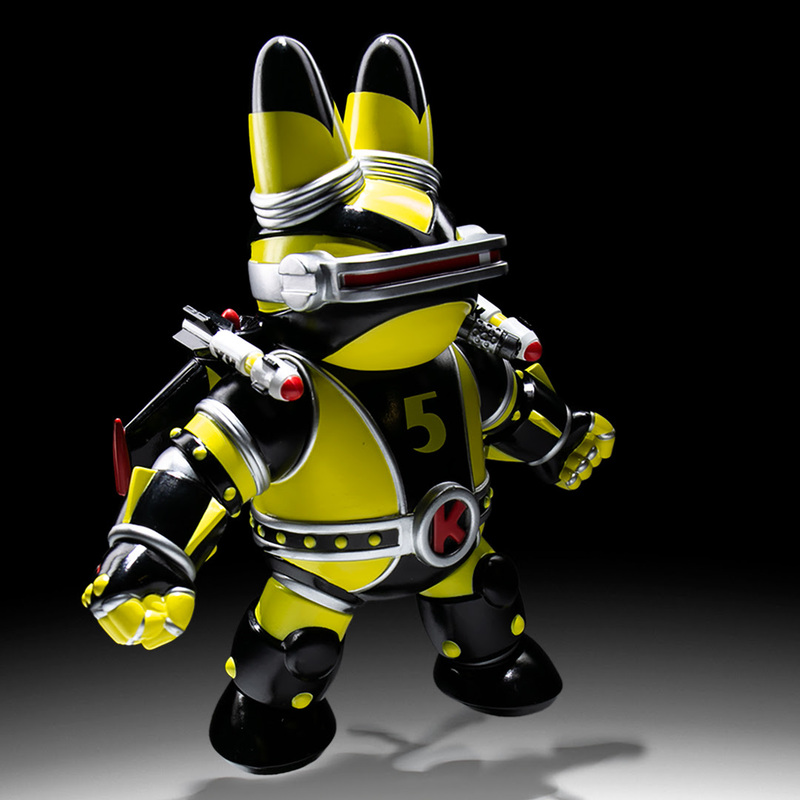 Both of these collectible figures are available for USA orders only and drop today April 5th at 10am MST on Kidrobot.com! 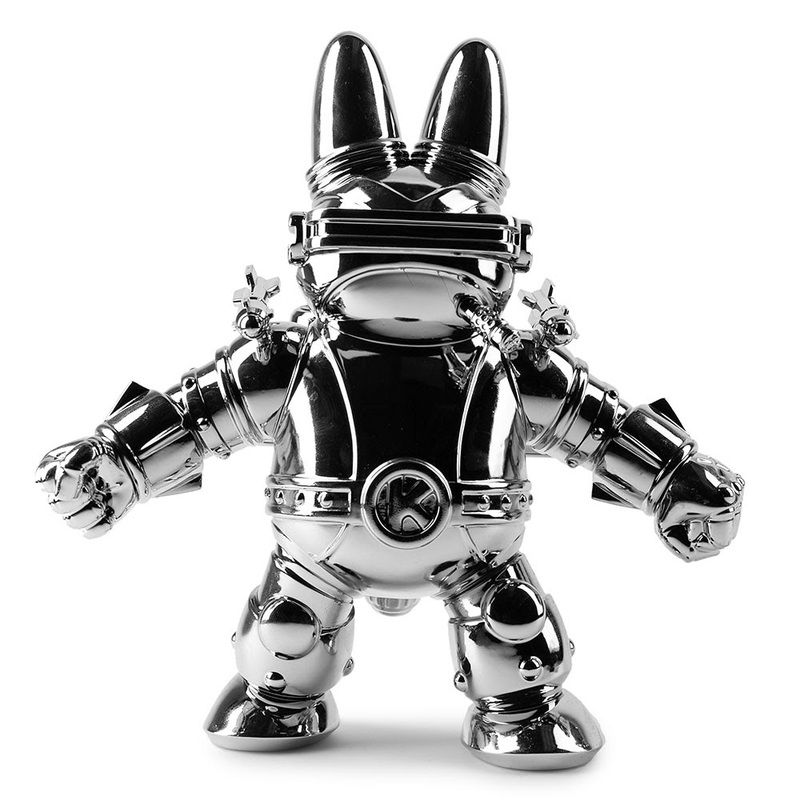 Releases at 10am MST on Kidrobot.com. Make sure to refresh the page at release time so you don't miss out. First to complete checkout get them. High risk and bot orders are always cancelled. Due to the limited nature we will be accepting USA orders only. 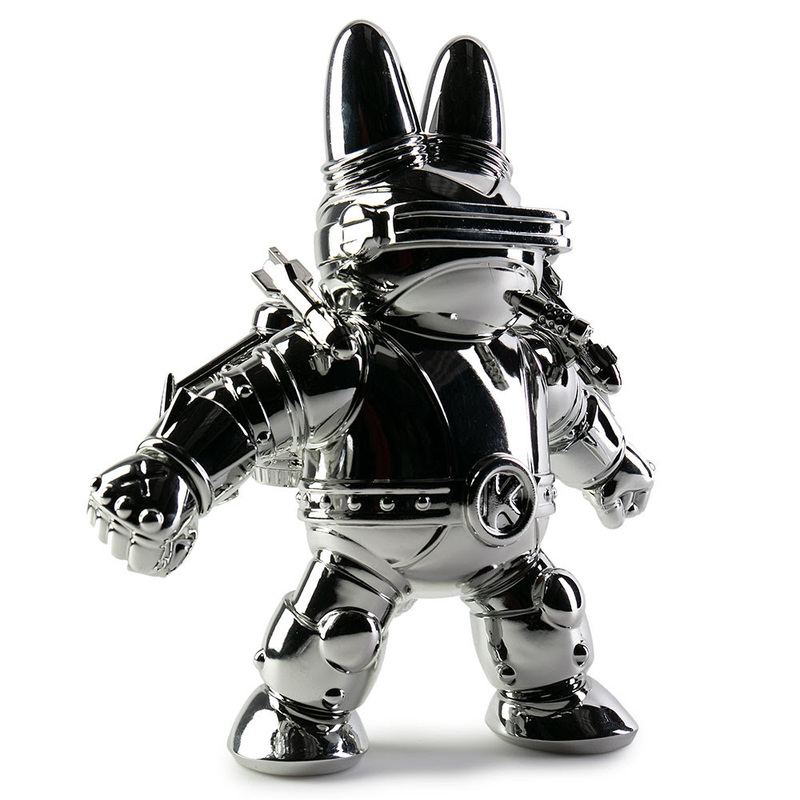 These pieces drop today at 10am MST on Kidrobot.com. Make sure to refresh the page at release time so you don't miss out. First to complete checkout get them. High risk and bot orders are always cancelled. Due to the limited nature we will be accepting USA orders only.